Head of Marketing & Sales at MorganFranklin Consulting working with leaders at fast-growing and iconic organizations. Co-Founder of Autism Speaks U and proud alumni of Penn State. Life is not about working to make a living. It is about living to make a difference. This is the motto that former NFL player and head coach, Herm Edwards, lives by on a daily basis. It is also the challenge he puts before those whose lives he comes in contact with. An undrafted free-agent, Edwards went on to play nine seasons for the Philadelphia Eagles as well as brief stints with the Los Angeles Rams and Atlanta Falcons. After his playing career was over, he got into coaching and would go on to become the Head Coach of the New York Jets and the Kansas City Chiefs. Today, he appears regularly on ESPN as one of the network's most renowned and celebrated NFL analysts. Known for his tremendous work ethic and leadership ability, he is one of the most sought after speakers on leadership by corporations and organizations of all sizes. Edwards and I sat down to talk about leadership, legacy, and how to make a difference. There are many lessons critical to leaders, in sports and in business. Andrew Moses: How do you define leadership? Herm Edwards: Leadership is a position of service. A leader's main job is to serve others, not to serve themselves. In coaching and in life, when you are part of a team or an organization it is your responsibility to not let the team fail. That is the primary goal. Andrew Moses: How do you translate goals to action and progress? Herm Edwards: Plans and goals are great, however, a goal without a plan is a wish. The plan is critical to achieving the goal, however, the only way a team truly understands the leader's plan is if they provide details. So do not just tell people what to do and how to do it - tell them why. Andrew Moses: How do you measure your success as a leader? Herm Edwards: To measure your success as a leader, ask yourself one question - did you exhaust yourself in preparation? When you plan a team for a season or an organization for any event the question you have to ask yourself is whether or not you prepared the team. Did you give them the answers to all of the questions? Did you help them prepare for every situation? Did you exhaust yourself in preparation? A leader's primary job is making sure the people you are leading are prepared. People need to know the plan and be in a position to effectively execute the plan. The leader must ask themselves if they prepared the team to do that. Andrew Moses: We are at the start of 2017. How should leaders approach a new year or a new season to ensure they are setting the right tone? 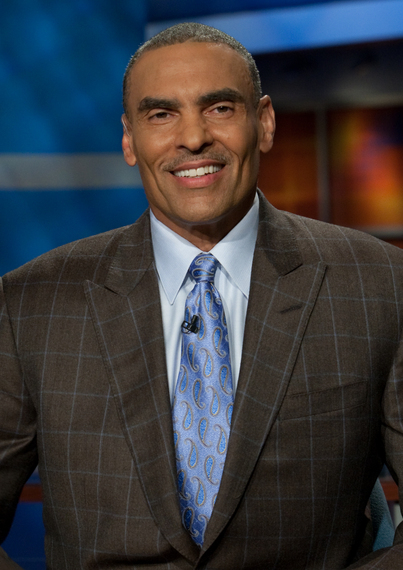 Herm Edwards: Give your team or organization a vote of confidence. Tell them you are confident in them and breathe confidence in them every single day. Secondly, know your personnel. Once you know your personnel you can put them in position to succeed. When you know your personnel, you know their strengths and put them in a position to succeed. In my opinion, the hardest part of coaching and leadership is finding the right roles for people. Once you find the right role for each member of the team, you have to make sure they know the importance of that role. Look at football - everybody typically knows all of the players except for the center. However, without the center you cannot start the play - he hikes the ball. That's a pretty important job! Also, be visible. Then, be visible. Then be visible some more. Ensure that you are communicating to the members of your team - not by e-mail if you are in the same building but instead in person if possible. Walk around the building, have lunch with your team members, or have coffee with them. Do not stay in your office. I was in the weight room with the players. I was in the training room when players were injured. I was around them and built a connection through constant communication. Andrew Moses: What should a leader's legacy be? Herm Edwards: Leaders should want a legacy of standards and integrity - where your words and your life match up. Did you make your organization better because you were a part of it? Did you make it better for the people who follow you? These are the questions a leader should ask themselves. Remember, life is not about working to make a living. It is about living to make a difference. Herm Edwards played nine seasons for the Philadelphia Eagles and was Head Coach of the New York Jets and Kansas City Chiefs. Today, he appears regularly on ESPN as one of the network's most renowned and celebrated NFL analysts. He is a highly sought after speaker on topics such as leadership, teamwork and communication. More information on Edwards and his corporate speaking can be found at www.octagonspeakers.com.